Soooo cool!! 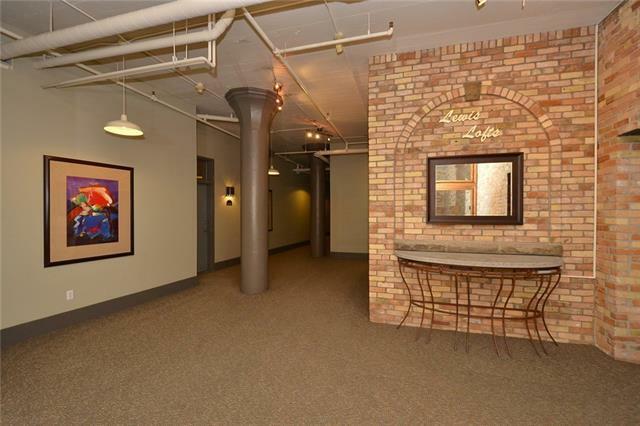 This totally unique penthouse loft is truly one-of-a-kind. 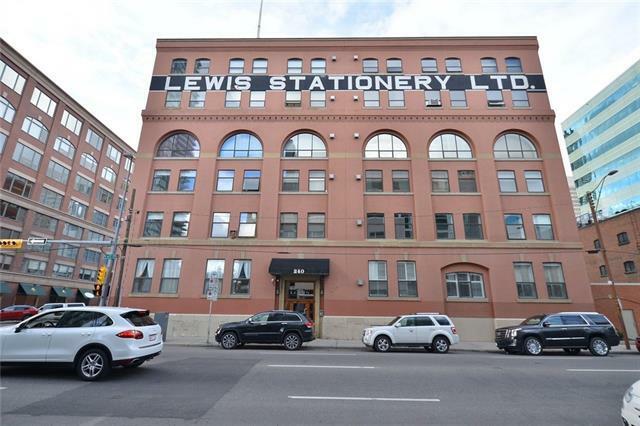 Located in Calgarys first New York-style loft conversion in the Lewis Stationery building, this top floor loft is unlike any other. The master bedroom is inside the original elevator shaft, which still has the original call buttons & elevator pulley. Ladder leading up from the bedroom to a loft room. 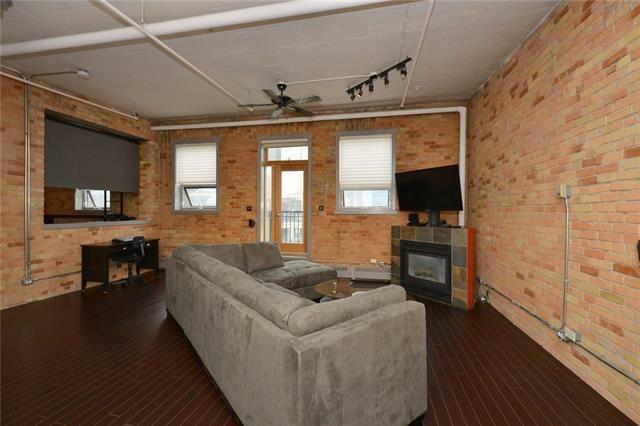 Original brick walls date back to 1905. Bath features a wonderful clawfoot tub. Soaring ceilings throughout. 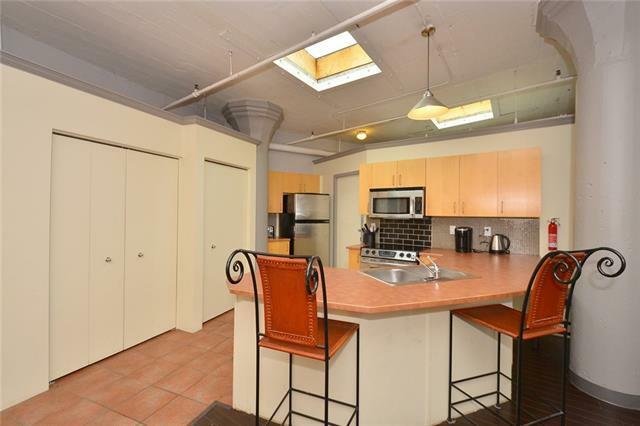 Bright, open kitchen with stainless steel appliances. Huge walk-in pantry. Flexible, open living and dining area with a gas fireplace. Little balcony with downtown city views. Washer and dryer right inside the unit. Plus, all the furniture (less than 8 months old) is included. Underground, heated, assigned parking. There is a large patio on the 2nd floor with bbq's available for the residents to use. Located close to everything! Walk to work, crawl home from your favourite night spot.